Have you ever seen the painting Scream by Edvard Munch?You should hurry before someone steals it again! 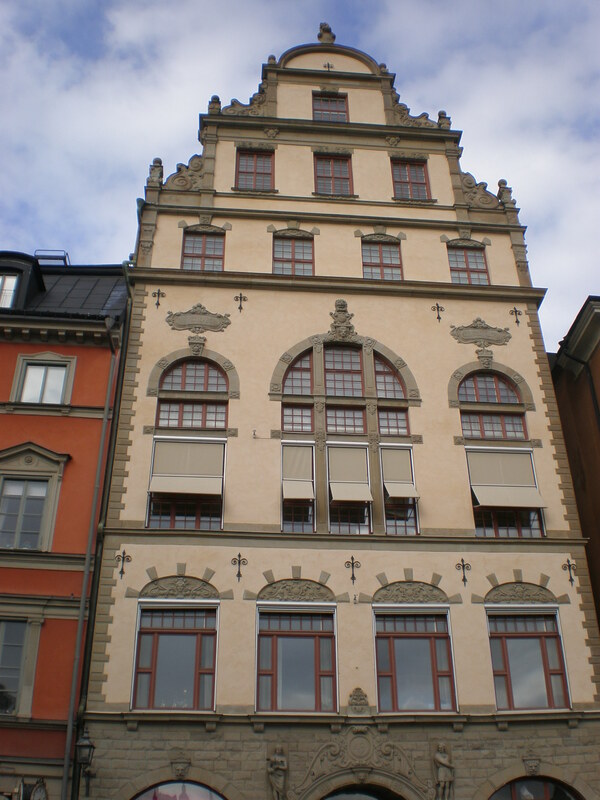 So, we started our last day in Oslo by visiting the National Gallery which was just around the corner of our hotel. I’m not a huge fan of galleries but I like to see some of the master pieces that I’ve learned about at school in real life. 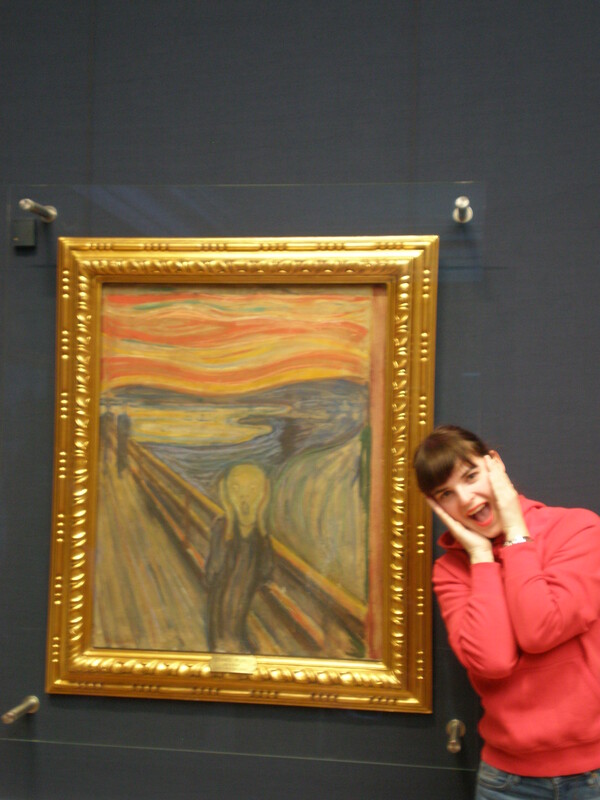 We visited the National gallery to see the world-famous painting the Scream by Edvard Munch. The entry is free on Sunday so that was a welcoming bonus in pricey Oslo. The gallery isn’t that big and we soon saw everything of interest to us. As all the other tourists we had to take our photo with the Scream painting. Edvard Munch actually created four versions of this painting and they are found in different museums. You can see the other Scream painting in the Munch Museum together with the pastel version and the last one was sold on auction in 2012 (pastel) for a whopping sum of $119,922,600 according to Wikipedia. The one we saw was actually stolen from the National Gallery in 1994 but it was recovered several months later. 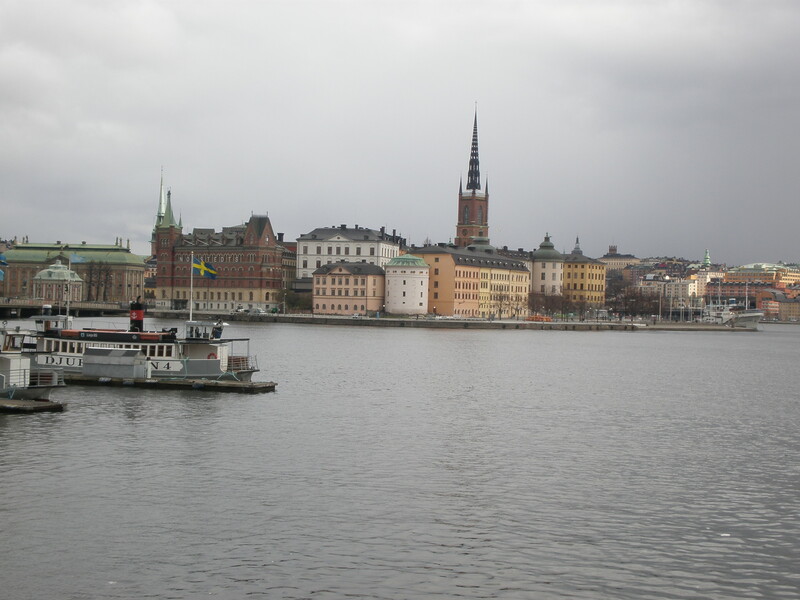 After this culture fix we needed some history so we headed to the Akershus Fortress and Castle at the old harbour. You can walk around the fortress for free but if you want to visit the Castle then you pay for the ticket and get a free audio guide. I love castles not just because I have a degree in History. My husband is also a big castle fan especially of the ones that were built in medieval times like this one. The building of the fortress and the castle started in 1299 under the rule of king Hakon V but the whole complex which withstood many sieges and battles was modernised in the Renaissance period by the king Christian IV. The royal family and the state government still use the castle for certain state affairs. We saw the banquet room which is used by the government and the royals but it isn’t luxurious at all. We walked around the castle rooms and the dungeon and listened to the historical explanations as well as to the ghost stories on our audio guides. 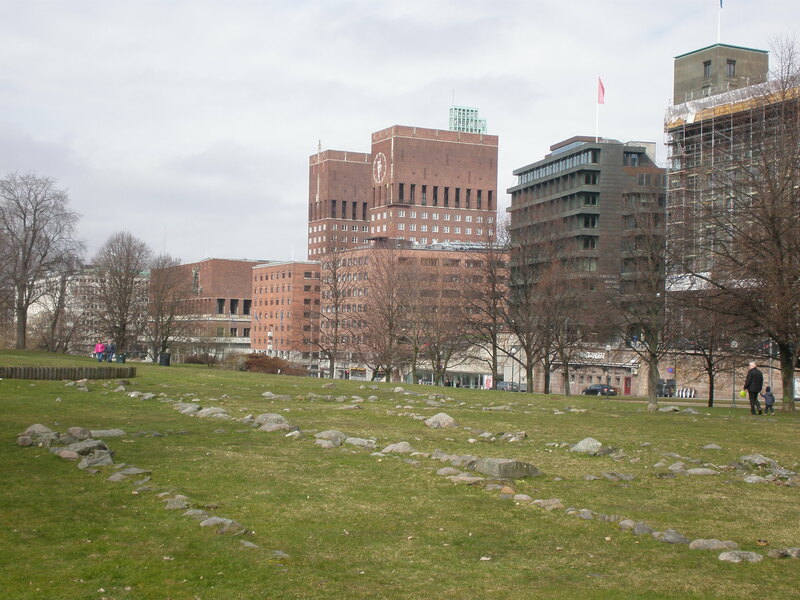 It was a good visit and we also admired the view of Oslo’s fjord from the fortress’ walls. 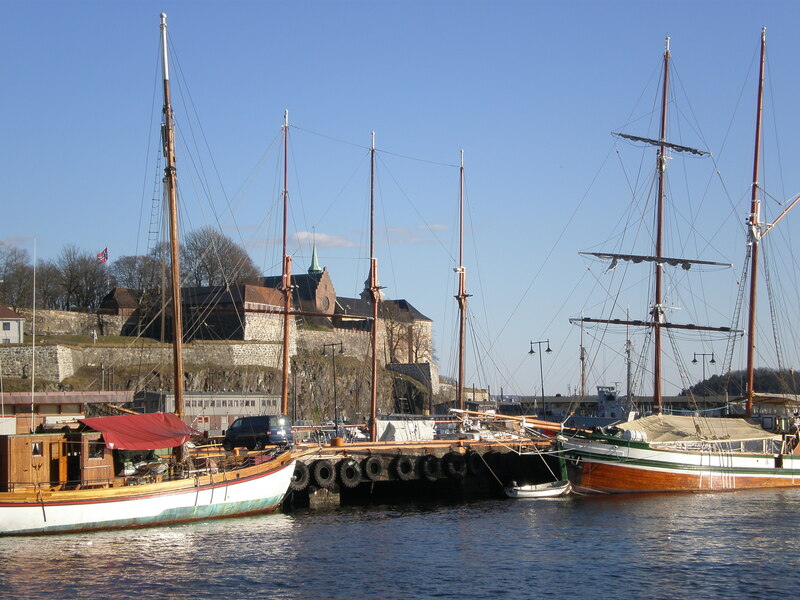 We were among the first passengers on the boat that morning and we arrived even before the Fram museum opened its doors. So we had a quick look around and then entered the museum named after the Fram; a ship made exclusively for polar expeditions. Yes, there’s a huge ship in the museum and you can come on board the ship and explore its cabins too. 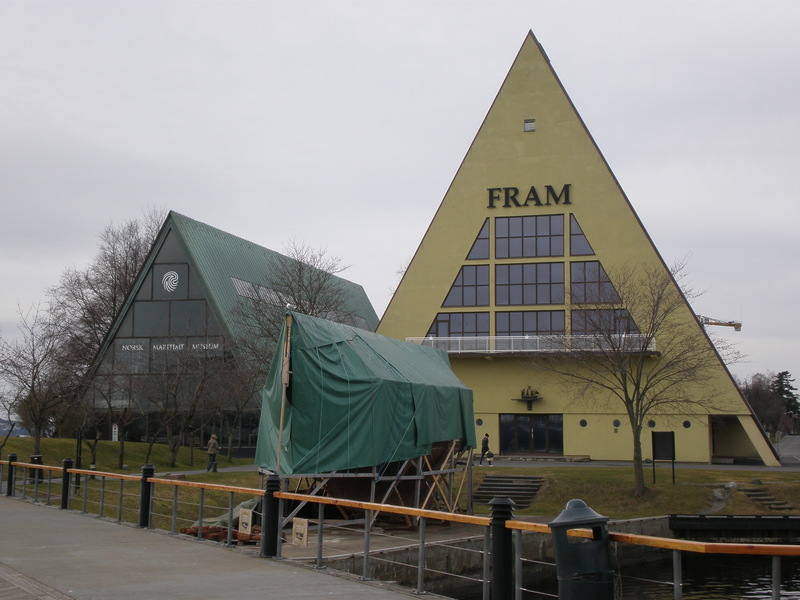 The Fram still holds the records for sailing farthest north and farthest south. Why was it used and when? Please read the museum’s explanation : „She was used on three important expeditions: with Fridtjof Nansen on a drift over the Arctic Ocean 1893-96, with Otto Sverdrup to the arctic archipelago west of Greenland – now the Nunavut region of Canada – 1898-1902, and with Roald Amundsen to Antarctica for his South Pole expedition 1910-12.˝ Impressive, right? We almost had the entire museum to ourselves so we leisurely saw all the exhibits which show how life looked like onboard the Fram. There’s also a fun polar simulator and a big scary polar bear. Of course, there’s a café and a museum shop too. You reach the other polar ship Gjøa which is famous for being the first ship to navigate the whole of the Northwest Passage by going under the tunnel which connects the two museum’s buildings. The best part was going onboard the Fram and taking a peek inside it. Of course, my husband (actually he was my fiancé on this trip since we got married a couple of months later) had to read every single explanation of every single object which drove me mad! Have you ever been to Scandinavia? 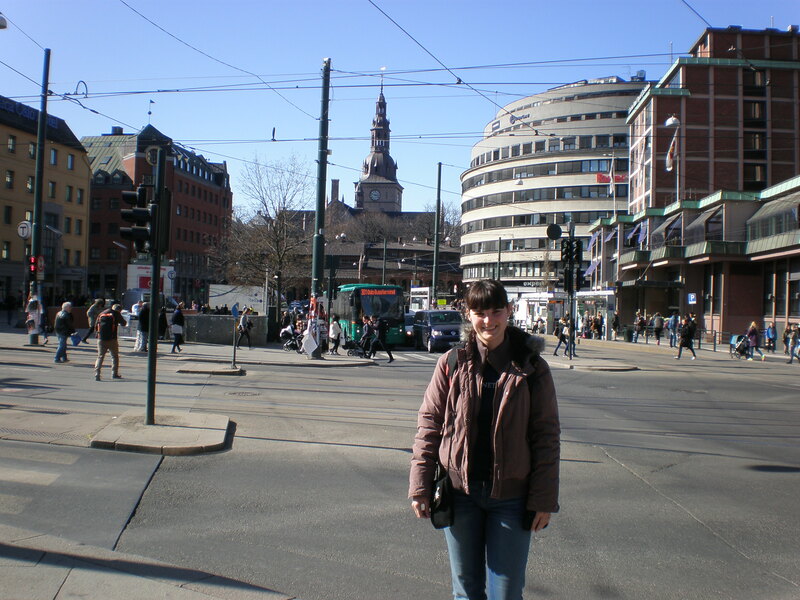 The trip to Norway’s capital was my first encounter with cool Scandinavia. 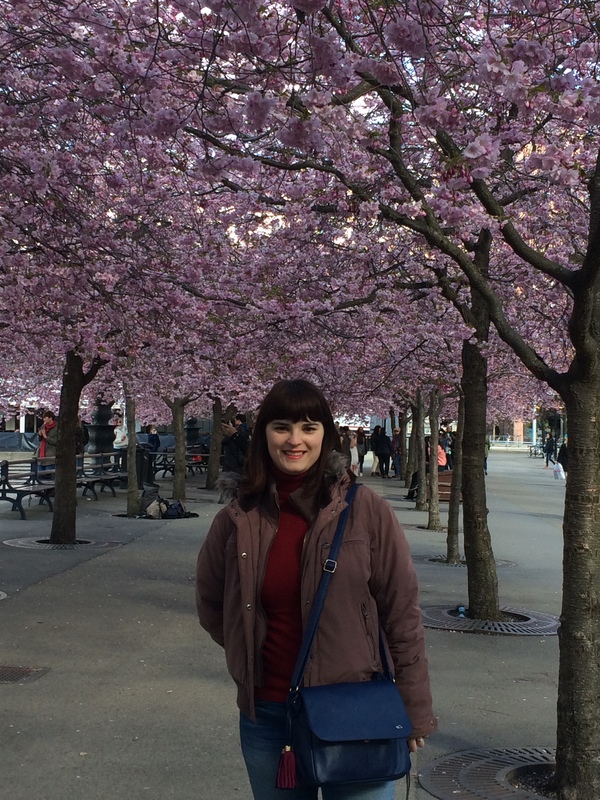 My husband and I spent a weekend in Oslo in April last year. 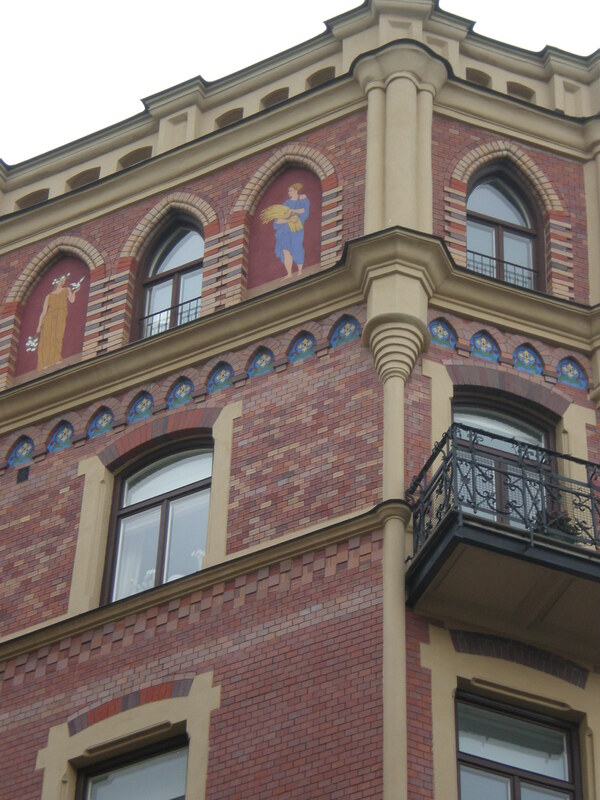 I didn’t have any preconceptions of Oslo which is probably one of the reasons that I felt so relaxed there. Oslo is actually in a fjord and surrounded by hills & forest. There’s even a ski jump tower in the city area (Holmenkollen National Ski Arena with museum and jump tower). I mean where can you ski and then go to the opera in the same day? Why did we go to Oslo in the first place? Sometimes we go on a trip because we particularly want to visit that town/country and sometimes, which was the case this time, we go somewhere because we found a cheap plane ticket and/or budget accommodation. So we landed on a Friday afternoon and had an early morning flight back on Monday which gave us just enough time to explore Oslo. 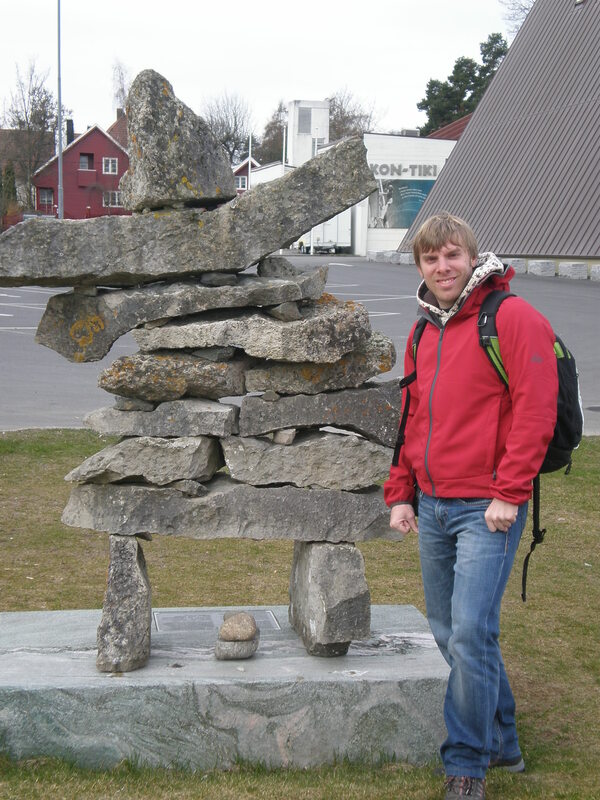 Sadly, there wasn’t enough time to do anything else like visit the fjords. 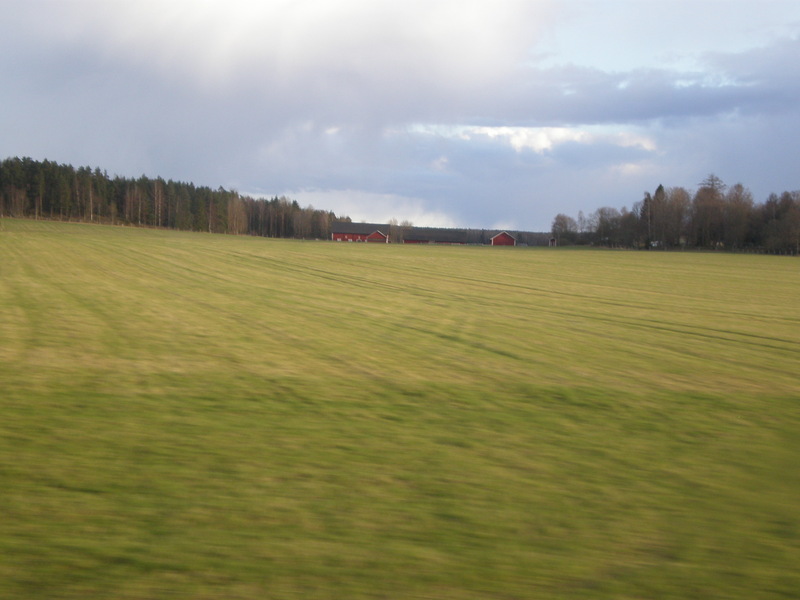 We arrived on a crisp sunny April day, just a week before Easter celebrations. 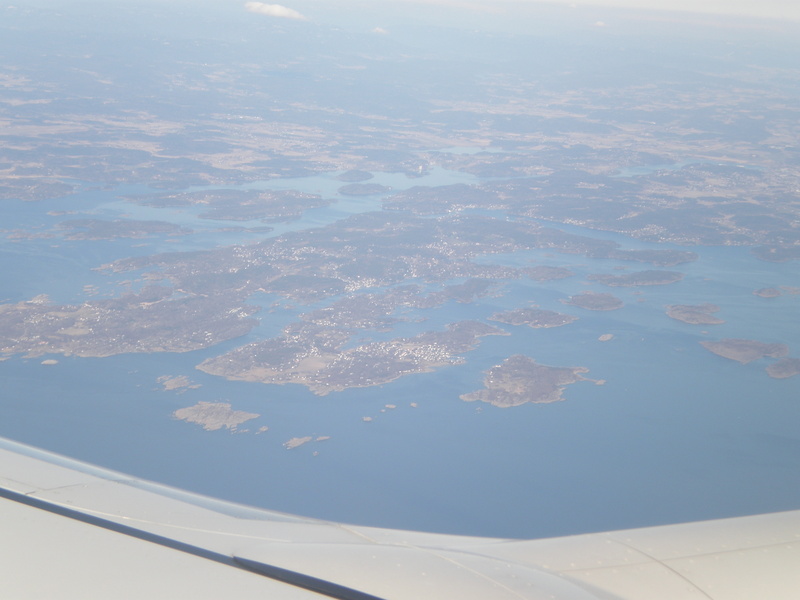 First impressions of Norway from the plane (sea&islands) were very promising as was the landscape just outside the airport (forest). But then our airport shuttle arrived and I burst into laughter. I have never ever been driven in such an old dilapidated van/airport transfer.We were dropped off at the main bus station and continued on foot to our hotel which was 20 mins from the aforementioned station. 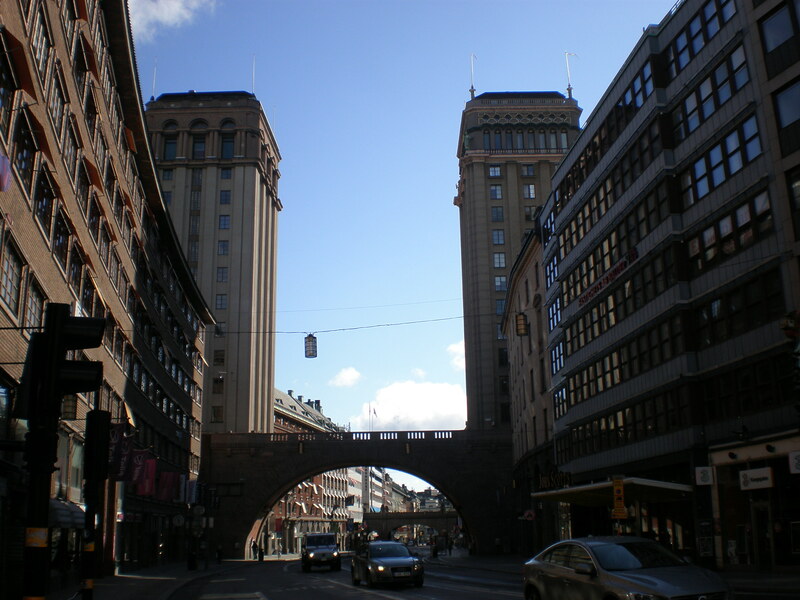 It was a leisurely stroll around the center since our hotel was just around the corner of the main street Karl Johans Gate and the Royal Palace. Yes, Norway’s got a royal family but we didn’t see them :). We’ve also came across the stout and sombre Cathedral on our way to the hotel. It’s a bit odd that there are shops and cafes just behind the cathedral in the so-called Bazaar halls.